This DVD set if for Season One only. 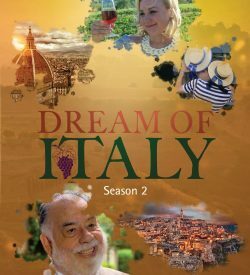 Enjoy Dream of Italy (first seen on PBS stations around the country) in the comfort of your own home with this two-DVD set featuring all six episodes of Season One. Join Italian travel expert Kathy McCabe, editor of the award-winning travel newsletter Dream of Italy, as she explores Tuscany, Rome, Umbria, Naples/The Amalfi Coast, Piedmont/Lake Iseo and Puglia. Meet Italy’s colorful locals — chefs, artisans, historians — who are deeply connected to their land, carrying on and preserving the traditions of their ancestors. Enjoy thoroughly Italian experiences like the picking olives in Chianti, dancing the pizzica in Puglia and hunting for white truffles in Piedmont. Please Note: When you click on “Add to Cart”below, you will then see something like “1 item – $19.95” in the page navigation above (next to the search magnifying glass). Click on this and it will take you to the cart to complete your order. If you would prefer to order on the phone, call our office at 202-297-3708. This DVD set if for Season One only. THE DEADLINE HAS PASSED FOR DELIVERY BY CHRISTMAS! Enjoy Dream of Italy (first seen on PBS stations around the country) in the comfort of your own home with this two-DVD set featuring all six episodes of Season One. 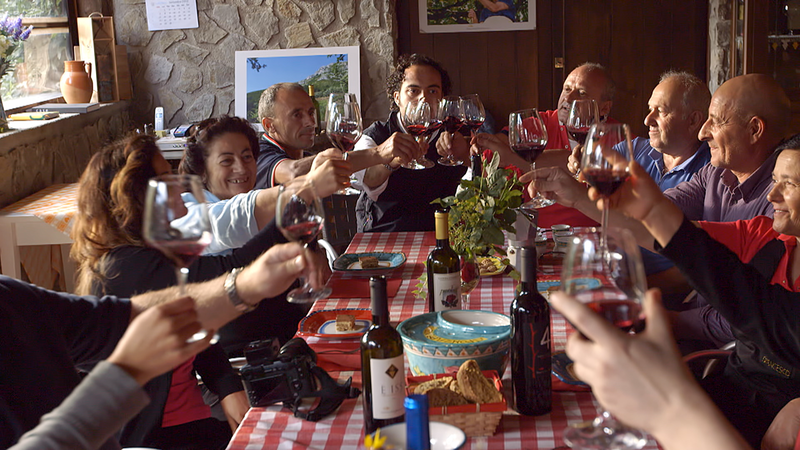 Join Italian travel expert Kathy McCabe, editor of the award-winning travel newsletter Dream of Italy, as she explores six diverse areas of Italy in six episodes. Meet Italy’s colorful locals — chefs, artisans, historians — who are deeply connected to their land, carrying on and preserving the traditions of their ancestors. 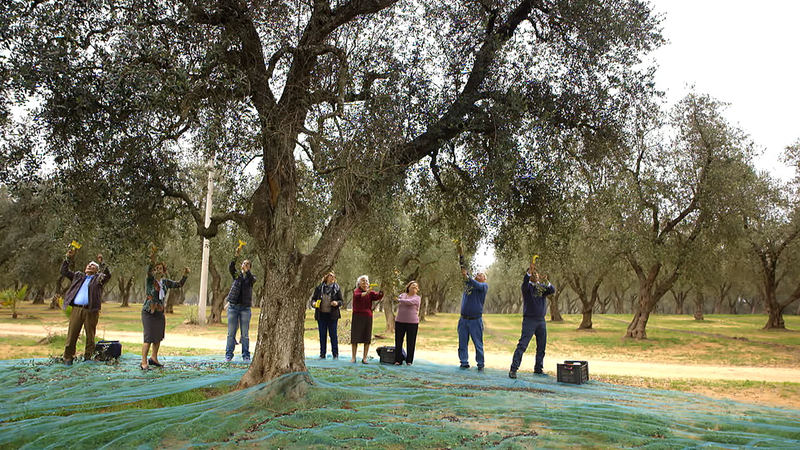 Enjoy thoroughly Italian experiences like the picking olives in Chianti, dancing the pizzica in Puglia and hunting for white truffles in Piedmont. This episode goes behind the scenes of the Eternal City starting with a lesson in the ancient Roman craft of mosaics.Then we are on a tour of one of Rome’s best delis and food markets. After lessons in how to make Cacio e Pepe, as well as gelato, we meet one of Rome’s noted street artists. Our visit to Rome ends with a grand ball. Naples is famous for many thing, including coffee, pizza, fine tailoring and Christmas creches. We explore all of them. Traveling outside the city we climb to the crater of Mount Vesuvius and learn about very special vines that grow in its shadow. 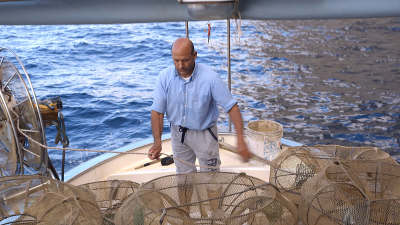 On the Amalfi Coast, we learn how to make limoncello, paper and a local seafood dish. 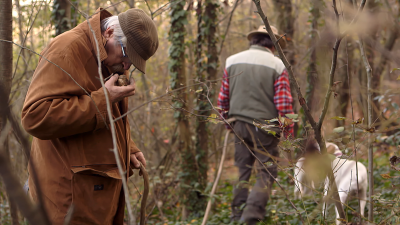 Piedmont is the land of truffles and wine. 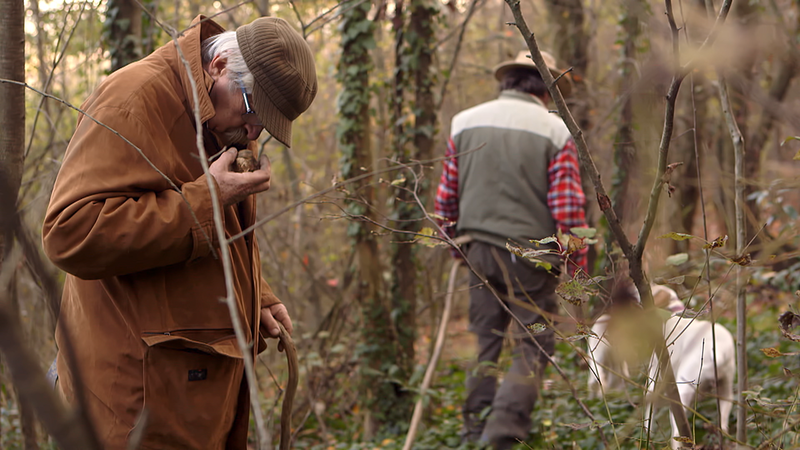 We join a truffle hunt and attend the World Truffle Auction before heading to a local vineyard to taste some of the powerful “Bs” of Piedmont – Barolo, Barbaresco and Barbera. Piedmont is also home to ancient healing hot springs. We also visit Lake Iseo in the region of Lombardy to see fine Italian boat making – from masters big and small – at Riva yachts and a small fishing boat maker on Monte Isola. Puglia…a land of stone walls, gargantuan, gnarled olive trees and unusual cone-shaped stone houses. We explore the Baroque city of Lecce, riding through town in a classic car and learning about its tradition of paper mache artistry. 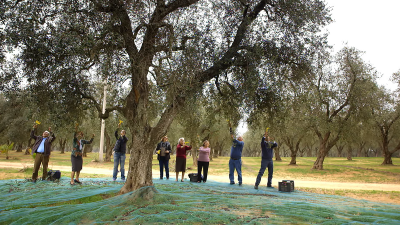 An olive grove outside town, we learn to dance the pizzica. A local mama teaches us to make orecchiette (pasta) and we meet a model boat maker in Monopoli. This page is for the season one DVD set ONLY!